SocialEngineMarket is an excellent Magento development company and a leading provider of multiple eСommerce services. We build robust online stores from scratch and deliver custom Magento programming solutions necessary for maintenance of existing eСommerce websites. The aim of our Magento experts is to apply our extensive knowledge of this platform into practice to deliver first-class eСommerce websites and applications tailored to your specific requirements and corresponding all coding standards. Whether you need to refresh your website design or to implement some complex custom eCommerce solutions, SocialEngineMarket professionals have years of experience and extensive skills to accomplish all of them. What you can expect from our Magento development company? At every stage of the development process, you will cooperate with a team of dedicated professionals, from a support agent to a usability tester. Together we'll build an online store of your dream that makes customers come back for the best shopping experience. Being a promising future direction, eCommerce makes the requests for Magento web development services more and more frequently and we take a responsible approach to these tasks. Following all modern web trends we increase knowledge in different areas of our work. Your interest is our priority, and we care for your business by delivering the following Magento development services. Finding a professional Magento web development company is a touchstone for your business. 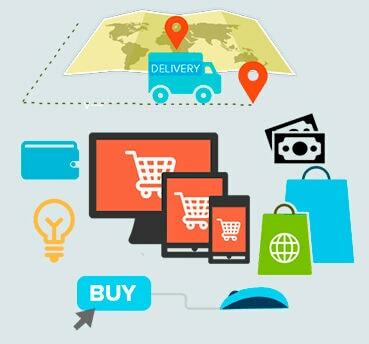 Only experts can deal with this platform and build an ideal eCommerce website. SocialEngineMarket is just what you need, our coders continuously increase their knowledge to perform top quality back end and front end as well. Magento is one of the most flexible eCommerce platforms that comes with a multitude of extensions. Our experienced programmers know how to properly manage with it. Combining our deep expertise and your specific requirements, we are able to implement absolutely unique custom project in a reasonable time frame. As an open source platform Magento offers various add-ons for its users. If you have your own idea of how the site should work, share with us and we'll develop custom modules and plugins to differentiate your business among others. For the flawless shopping experience of your customers it is crucial to create user-friendly and well-functioning shopping cart. We design high-quality shopping carts that guarantee your buyers pleasant completion of a purchase. Our designers and developers precisely consider your requirements and special aspects of the niche your business is developing in, to create an exclusive theme or template that will please your customers and attract new ones. If you have your own vision of the future online store created in Photoshop, we can help you to bring it to life. Take an advantage of our conversion services! All you need is to send us the PSD files of the potential site appearance and we'll turn them into beautiful pixel-perfect and fully functional web pages. Understanding user behavior, we determine security, usability and individual interface as core aspects in developing successful eCommerce applications. Let the visitors of your Magento-based website enjoy it anywhere they want. With a growing popularity of smartphone use, our programmers more often face customer queries to develop a responsive version of their websites. Having the thorough comprehension of Magento and a convincing overall development experience, we are able to make your online store perfectly serve its smartphone users as well. What is of a high priority for any eCommerce website is the way they look. Once the project starts our coders work side by side with a team of devoted designers to reach the unique interface of your site. Whether it's a template customization or other custom solutions, we gage for the pixel-perfect and clean front end. Security and data protection is of a high priority nowadays. In the case of eCommerce business that presupposes selling, buying and conducting online transactions, there is a growing need to strengthen the security level. Providing payment integration service we let your customers safe and pleasant shopping. 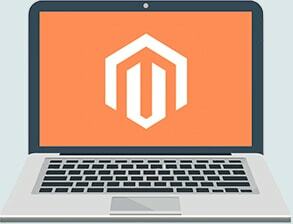 Magento is a leading eCommerce development platform and more and more people nowadays prefer to pick this software as a base for their online store. No wonder, since it offers a lot of useful features and opportunities to its users, besides, it's an open-source platform, which makes it very flexible and easy to work with. Choosing Magento as your CMS, you will have an opportunity to totally control your store, take an advantage of such services like catalog, order and product management, full support for SEO, Google Analytics reporting and a lot of other effective marketing tools.